About 90% of the top performing B2B content marketers put the informational needs of their audience above the sales and promotional messages of the company. 68% of the B2B marketers say that they have been able to use content marketing successfully to build credibility with their audience. Do you want to be such a marketer? How can you create relevant and engaging content? A number of tools are available to help you create good content. 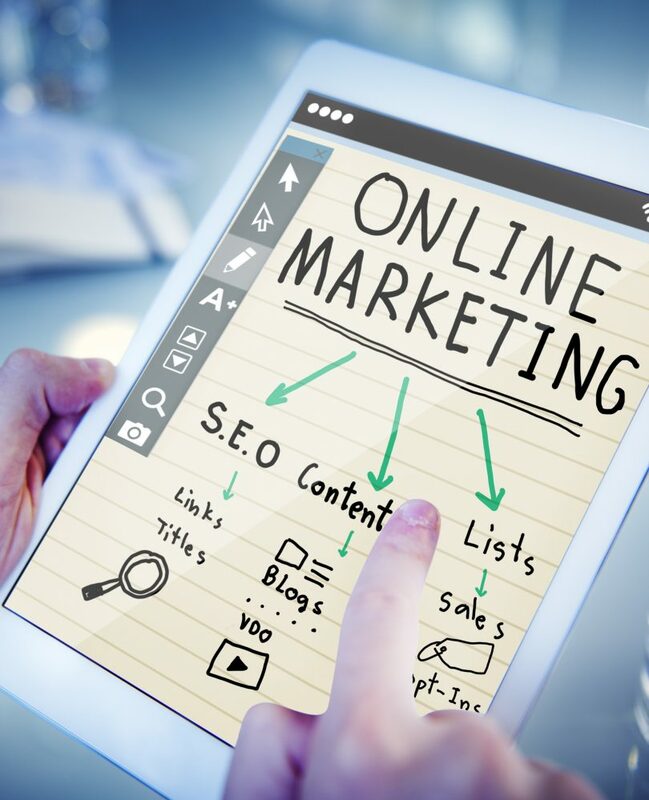 You can rely on them to find relevant topics, improve the quality of your content, add visual elements to complement your writing and to engage your audience on social media channels. These can be daunting tasks. You may want to outsource parts of the process, freeing you up to concentrate on your overall business goals. You can use our content marketing services for all your content needs. Here are 9 content marketing tools you can rely on to elevate your content game in 2019. What content is currently trending in my niche? What are my competitors writing about? How are they marketing it? What content is getting shared across social media? You will get insights into these questions through reports. The tool allows you to set alerts to know when your competitor posts new content, or when someone searches for your keyword. You can also search for a keyword of your interest to see a list of content – relevant to the searched keyword – that has the most social shares. 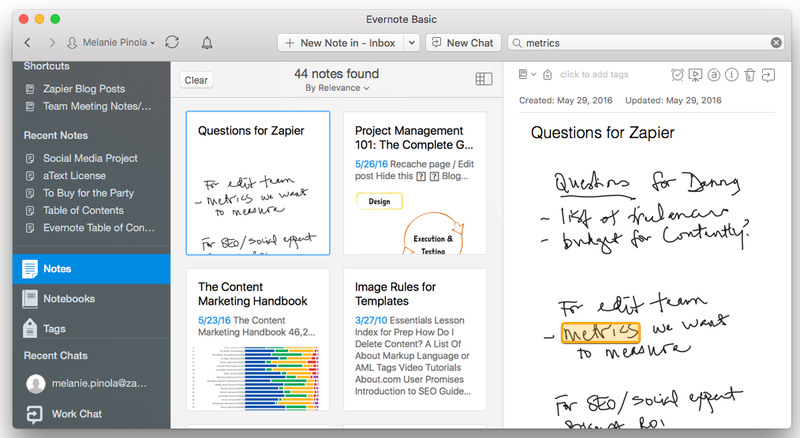 Evernote lets you organize your notes, content ideas, and outlines in one place. You can also collaborate with other creators on your team by sharing these notes. You can save the information from your research and access it anytime across multiple devices. It even allows you to clip content directly from web pages, images, and files to save on the go. All your notes are accessible offline. The tool makes it simple to add annotations, search through the saved content and sync across all your devices, giving you a lot of flexibility. Marketing is a team effort. Slack makes it easy to communicate and coordinate effectively with your team. They report a 16% faster execution of marketing campaigns with the use of slack. 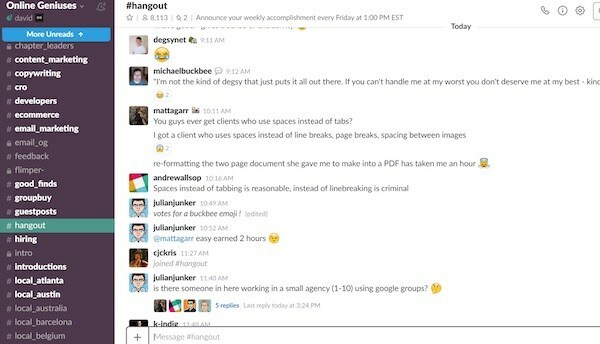 Slack is a cloud-based team collaboration tool. You can create dedicated channels for content marketing ideas, discuss targets, and share results. The tool allows you to integrate leading marketing tools directly from inside Slack from monitoring email campaigns to sharing the latest metrics with the teams involved. Sharing slack channels with your customers is an effective way to collaborate in real-time. You can import the data from your campaigns to view the performance at a glance. A sales funnel shows the journey a potential customer takes from the first visit to converting to a lead. A lead then converts to sales, improving the company’s performance. Although it is possible to create your funnels from scratch, using a tool like ClickFunnels will save you time. 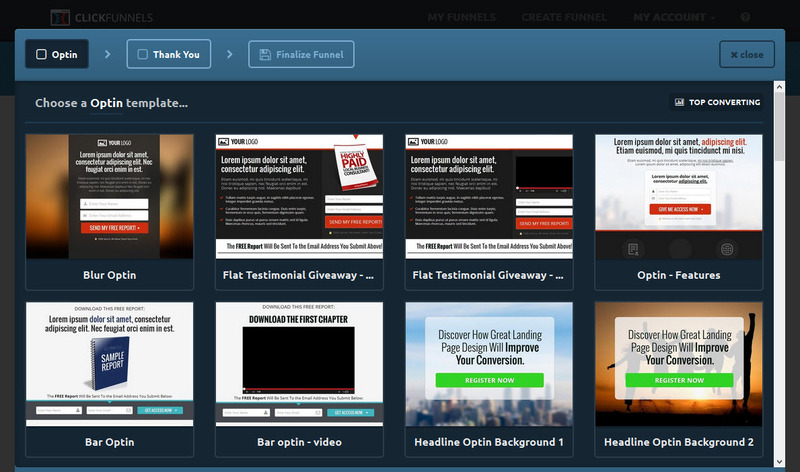 ClickFunnels has an easy-to-use drag and drop interface. Templates are available that you can immediately incorporate into your sales funnel. These templates are based on what has worked in the past, saving you hours of research time. Apart from sales funnels, you can also find templates for webinar funnels, membership funnels, A/B testing, E-mail, and Facebook Marketing automation. They say a picture is worth a thousand words. Visually appealing stories with relevant images and infographics grab the attention of your consumers. Not everyone can afford to invest in Photoshop and you don’t have to. Free tools like Canva provide a lot of design options to create beautiful visuals. Canva offers various templates, layouts, fonts, and graphics that you can easily incorporate in your images. You can choose the size of templates according to the medium you are creating content for, be it an Instagram post or a Youtube banner. You can even share what you created directly onto the platform, download it to be placed on your website or for print. SEMRush is an all in one marketing tool for digital marketers. You can use it to perform an in-depth competitor analysis, gaining insight into what keywords they are organically ranking for and what their search ads look like. The tool can also help you figure out which keywords are performing well on your website. Creating relevant, good quality content is just one part of the job. You need to be able to get the content in the hands of your target audience by betting on the right keywords. These insights help you do just that. As a content marketer, you are always coming up with new ideas for your content. For times when you struggle to find new ideas, you can use Answer the Public. It is a free tool that generates content ideas based on the keywords that you enter by pulling the relevant searches with the keyword. It gives a nice visual representation of the possibilities. It works similar to Google autocomplete and related search suggestions. It also shows comparisons between related searches and presents all the ideas generated as one visual, making it simple to find inspiration for new content with just one glance. If that is not enough, you can check out our post on the top brands to follow for content marketing inspiration. Grammarly is an awesome tool to proofread your content and catch all the errors before you post it online. If your writing is riddled with errors, users may get frustrated and are less likely to trust your content. Grammarly goes beyond just a spell check to judge the context and grammar in your writing. It checks against more than 250 grammar rules including squinting modifiers, overused words, etc. You can easily add a chrome extension to proofread everything you type on the web. Otherwise, you can upload the documents on their app. The tool highlights all possible errors and suggests the right usage, which you are free to accept or ignore. Sharing your content across multiple social media platforms keeps your audience engaged. While reaching more people on social media is good for business, it takes a lot of time and effort to individually manage the accounts and the content posted there. 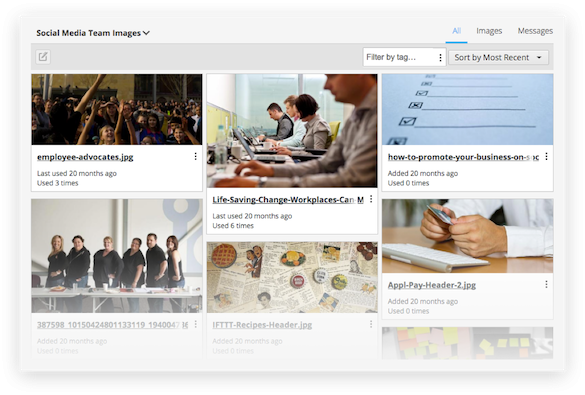 Hootsuite allows you to manage more than 35 social media platforms in one place. You can draft your posts and schedule them to be posted at peak engagement times. It generates reports showing how your social media campaigns are performing. You can find and filter conversations by keywords, hashtag, and location to know the opinion your brand is generating. You can try out these tools and see what works best for your business needs.